Well, she's done it again! 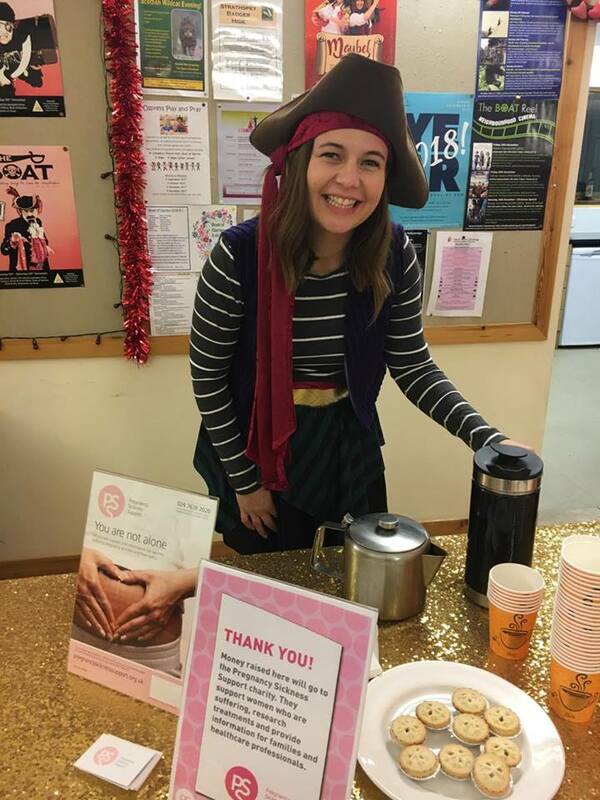 This time, Claire - who is a member of the amateur drama group, The Showboaters, based in Boat of Garten - has raised £1610 for PSS, by setting up a refreshments station at each of the five pantomime performances of swashbuckling Christmas comedy 'The Boat' that the group did this year. 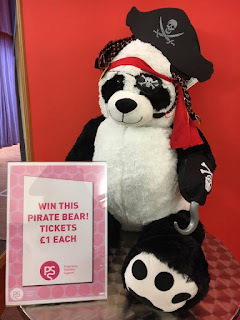 She also raffled a giant Pirate Bear to boost the funds she raised. Claire, you’ve raised a lot of money for PSS. What motivates you? When I look at my wee girl and I wonder that she might get this in the future- I want things to be better for her.When I hear of other women suffering, I want things to be better for them. When I think of having another baby, I want things to be better for me. Where do you get your fundraising ideas from? When I decided to do fundraising I came up with a list of ideas. I started with the boot sale because it seemed the easiest one to manage before the end of the year. Luckily, the Showboaters group approached me and asked if I would like to raise money during their shows. Have there been any potential disasters or worrying moments during any of your fundraising events? Not so far, but if there were I wouldn’t be too stressed! Do you have any plans for more fundraising efforts in the near future? If so, what will they be? Yes, I think so. We are planning to do a pub quiz sometime over the spring or summer. Do your children and/or other family get involved in your fundraising? How do they feel about what you’re trying to do? Yes, I wouldn’t be able to do any fundraising without the help of my family and friends. They helped so much with organising, looking after my wee girl, and on the day of events. They are happy and very proud. What would you say to anyone else wanting to fund-raise for PSS? I’d say if you are thinking about it at all then just DO IT. I really believe that every little helps. 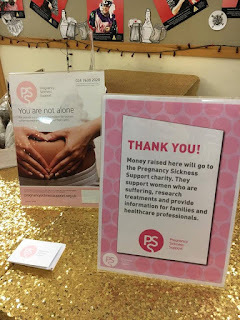 Huge thanks to Claire for everything that she has done, and is doing, to support the work of Pregnancy Sickness Support. 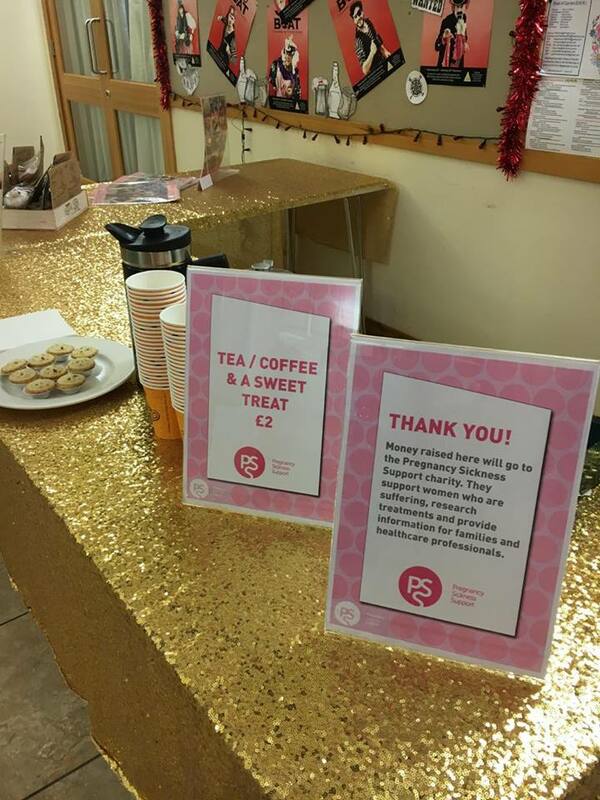 You can read more about fundraising on our website; feel free to get in touch with any questions.